For medical practitioners, MRI or Magnetic Resonance Imaging is one of the most valuable tools, which allows them to make images of soft tissue and organs with no exploratory surgery. In the last two decades, there has been an augmented availability of MRI service, and this corresponded to a noticeable increase in surgeries for treating lower back pain. The technology of MRI services is useful in examining soft tissues like muscles and spinal discs. On the other hand, research indicates that relying too much on MRI technology to treat rheumatic issues can cause some issues. MRI scans often picture abnormalities in joints and tissues that are not actually the source of pain. In one study, evidence suggests that an MRI may frequently be ordered unnecessarily. In addition, the study further states, “More studies are needed to examine the appropriateness with which imaging procedures and non-invasive/minimally invasive treatments are utilized, and their effect on patient outcomes” (Pain Med 2006; 7:143-50). When diagnosing pain problems, allopathic doctors often based them on MRI results. They are more prone to using pain medications and invasive surgical procedures in an attempt to treat anomalies considered to be identified by MRI scan. Though in some cases, MRI’s can scan and identify the source of pain correctly, surgery and medication may not be always the best option and treatment. In recent years, relying on MRI’s and associated treatments corresponds to significantly higher expenditures in health care. The 2009 report of Journal of the American Board of Family Medicine states that, “recent studies document a 629% increase in Medicare expenditures for epidural steroid injections; a 423% increase in expenditures for opioids for back pain; a 307% increase in the number of lumbar magnetic resonance images among Medicare beneficiaries; and a 220% increase in spinal fusion surgery rates”. If patients were improving after the treatment, then this upsurge in costs could be justified. However, the increased success in patient outcomes is seemingly an indefensible proposition. 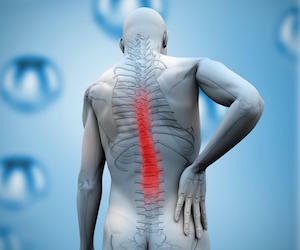 “We suggest a need for a better understanding of the basic science of pain mechanisms, more rigorous and independent trials of many treatments, a stronger regulatory stance toward approval and post-marketing surveillance of new drugs and devices for chronic pain, and a chronic disease model for man- aging chronic back pain” (J Am Board Fam Med 2009; 22:62-8), the researchers concluded. Chiropractors are extremely concerned about MRI scans and the way it results in more back surgeries and prescriptions of powerful or addictive pain medications. Moreover, given that, surgery seldom resolves the pain issues, which often leads to unexpected and serious problems in the future, it makes chiropractors more uncomfortable about the treatment. This is also according to a study, which involves 124 patients. This evidence concluded, “long-term improvement was not better after (surgery) compared with cognitive intervention and exercises” (Ann Rheum Dis 2009; Epub). When it comes to effective and non-invasive pain management, you can fully trust your health on chiropractic care. Chiropractic services focuses on finding and resolving pain problems by treating the root cause of the pain. Chiropractors deal with holistic and natural approach in addressing various health conditions by determining the source of pain symptoms and administering healing therapies that will provide lasting and sustainable results. Aside that it’s effective, non-invasive practice, chiropractic care also specialises in the care and treatment of the spine. Because the spine is frequently the source of anomalies that affect the back and other parts of the human body, it’s crucial to focus on the health and care of the spine. Several painful conditions such as lower back pain (LBP) can be treated without involving expensive and invasive medical procedures. Your trusted Gold Coast chiropractors at Hinterland Chiropractic concentrate on a holistic, non-invasive intervention for back pain and all health concerns. We believe that surgery should not be your only option when it comes to back problems, but rather your last resort when less invasive treatments have been exhausted. What we can do is to find the major cause of the pain that is inclusive of your overall wellbeing, diet and lifestyle. See us today and let us find natural, economical therapeutic strategy that is customised to suit your needs and special situations.